Gift card holders from Paper & Glassine bags, Stampin' Up! Hi stampers! I know I am a tad bit behind on my blogs, so as a promise to myself and you all, I got caught all up right before my little vacation so you would have some fun things to create and be inspired by while I was away! These two were super fun to create, and I think they make a fun way to give your gift, and an even better way to receive one. You can change the DSP used, change the sentiment , change everything or you can make it just as it is. What will you create? Send me a picture on Facebook and let me see too!! You will want to score your bag (either one) at 3″, (on both sides) to get a better crease. Cut a piece of DSP to measure 3 1/4″ by 12″. Then you will lay the DSP down( with the side dow you want to facing out) and fold to meet the sides. Then overlap the back, and add Snail to close the ends together. If you want to add the Whisper White insert it will measure 4 1/2″ by 2 3/4″. 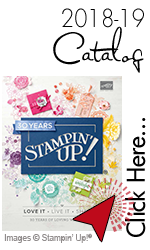 You can do a little background stamping for interest, and this will be the perfect spot to add your greeting. Also, make sure you tell them to enjoy the gift card, so they know to look for it inside! You could stamp any sentiment, and punch it out with the Sweetheart punch, and then layer onto a 2″ circle punch with Dazzling Diamonds or the Blushing Bride glimmer paper too! Wrap a little ribbon around it for added flair, or leave it more plain if you want to, it’s all up to you.